Messages and general musings from Taco Jesus himself. 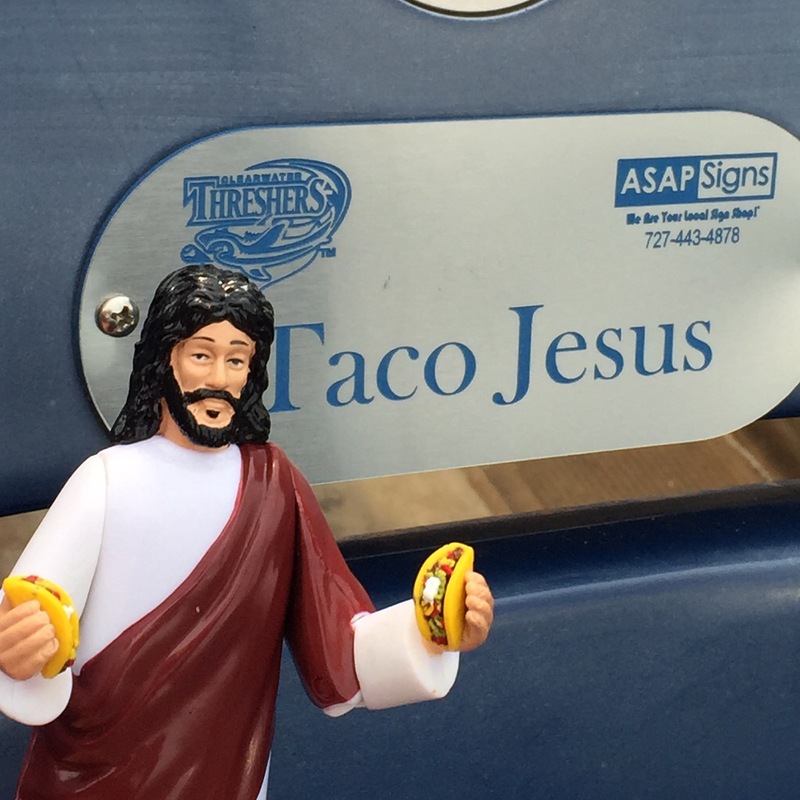 Whenever we are out doing shows or talking to people about the brand the most common questions we get is: “Why Taco Jesus; how did you come up with that name?” We’re not sure if the actual story lives up to the hype, but this is it. The original idea for Taco Jesus all started as part of a logo design contest in 2009 run by a website called “The Clink Room” which was a collaborative site run by a couple of guys named Casey and Jason who run a mega successful branding company called Brandiose and are major players in logo design projects behind some of your favorite minor league and major league baseball teams. The idea of the design contest was to design a logo for an imaginary baseball team sponsored by your favorite taco shop. Jeff Crupper the founder of Taco Jesus Hot Sauce had grown up in Texas and had a passion for tacos (and hot sauce) and a flair for the creative, so he decided to take a shot at designing a logo for the contest. 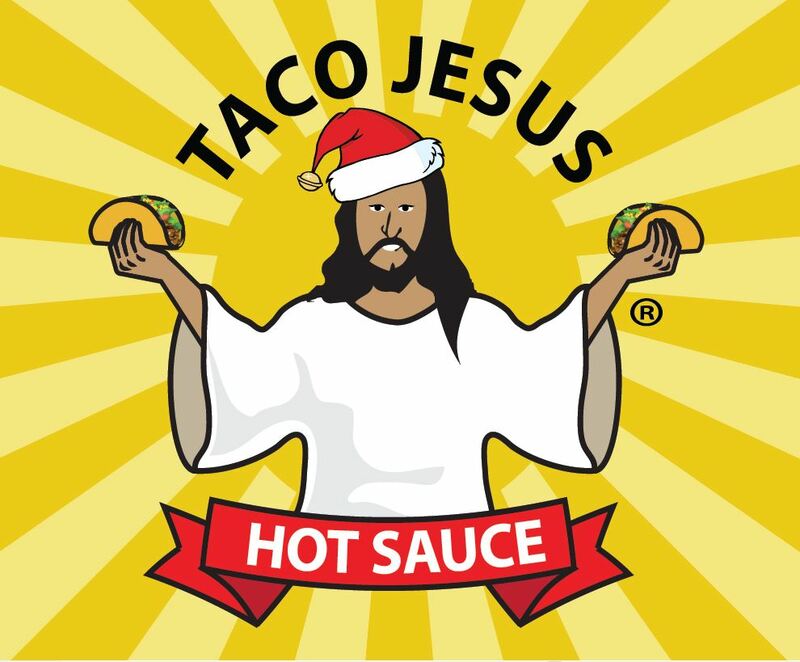 Jeff’s original taco shop idea was based on an imaginary Taco Shop called Jesus Gomez’ Taco Heaven and their sponsored team was “El Salvadores” with the logo being Jesus Gomez offering up two delicious tacos in a Christ-like pose. Jesus Gomez – Los Salvadores Logo: The first appearance of what would eventually become Taco Jesus. 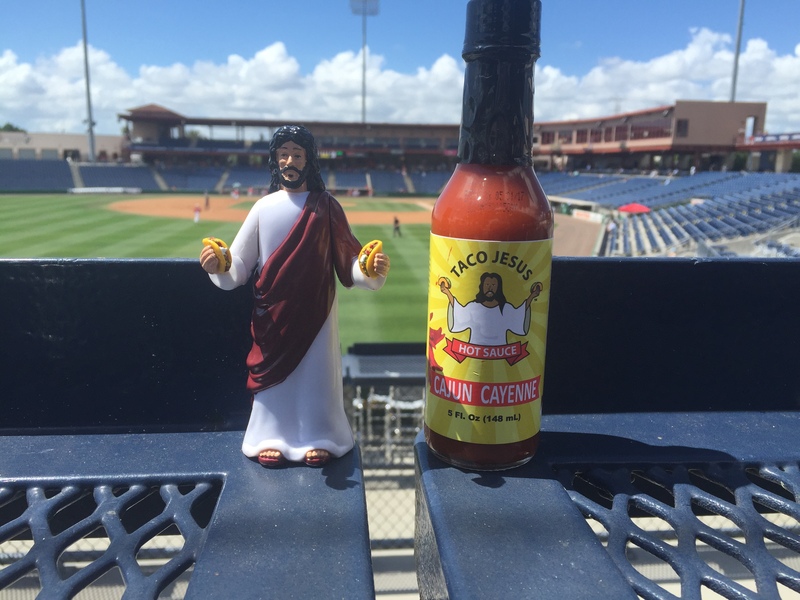 When the Taco Shop League announced their winners Jesus Gomez and El Savadores were left out on the outside looking in, but the idea of Taco Jesus never completely went away. 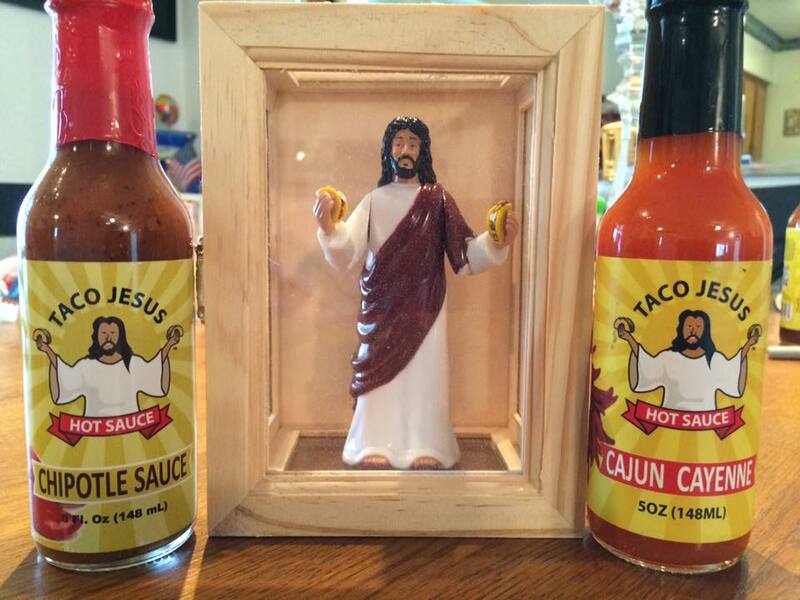 The character Taco Jesus first appeared with a Facebook page that many years later would evolve into the Taco Jesus Hot Sauce page you see today. Taco Jesus managed to gather quite a following eventually making 500-600 “friends” on Facebook and we began selling Taco Jesus related products online. 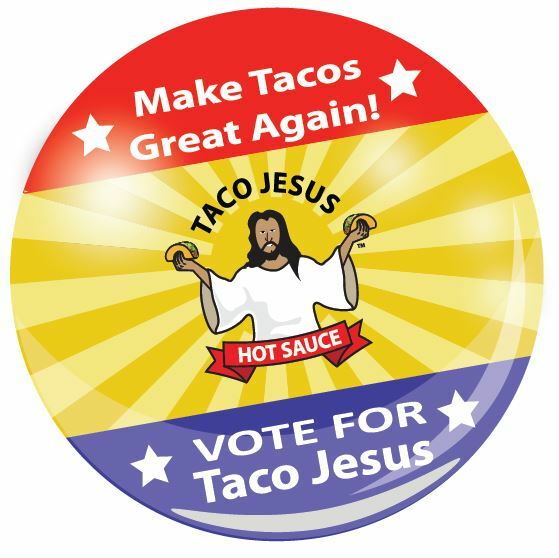 Today the online shop has evolved to sell Taco Jesus Hot Sauce related products, but many of the original designs can still be found on the site. 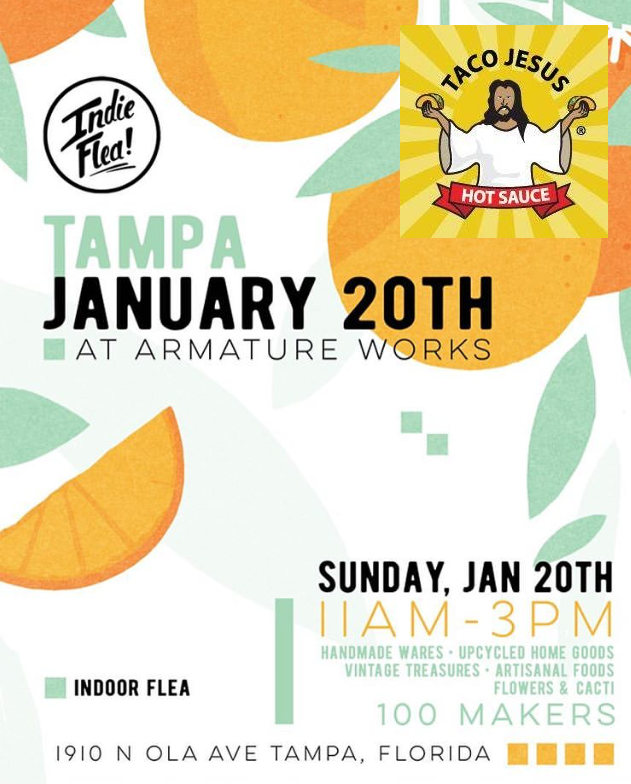 We always have a great time at events in St. Petersburg, FL and this month you’ve got two chances to catch us in St. Pete. 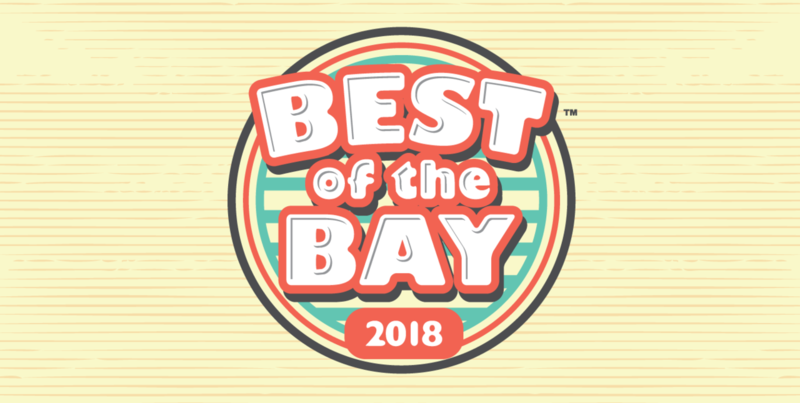 Saturday, April the 1st we’ll be at the St. Pete Indie Market at Green Bench Brewing from 11 am to 4 pm, and then, On Sunday April 23rd we will be participating In the Creative Loafing Veg Out event as part of the St. Petersburg Earth Day celebrations at Williams Park.